Ontario's #1 Youth Club Register Now ! Need for Speed ? Register Now ! 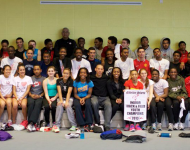 The Speed Academy Train with Olympic Medalist Tony Sharpe and his team of nationally certified coaches. 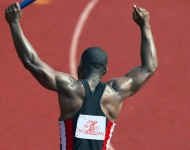 The Speed Academy was founded by Olympic sprinter, Tony Sharpe in 2006 in an effort to introduce youth in his local community to the sport of track and field. Since 2006, the club has produced several national and provincial champions. 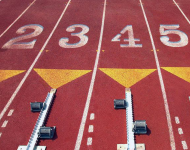 The club is affiliated with both Athletics Ontario as well as the Minor Track Association and participates in competitions across Ontario and the United States. 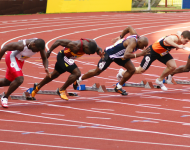 The Academy is focused on developing athletes in the following disciplines: sprints, middle distance, hurdles and jumps.